We believe that if we consistently work on getting patrons and artists together Alberta’s Arts and Cultural Industry will surpass all other industries in longevity and sustainability. And since this is the industry we choose to work in we are constantly striving for that goal. In 2015 (and the next year….its an ongoing thing!) 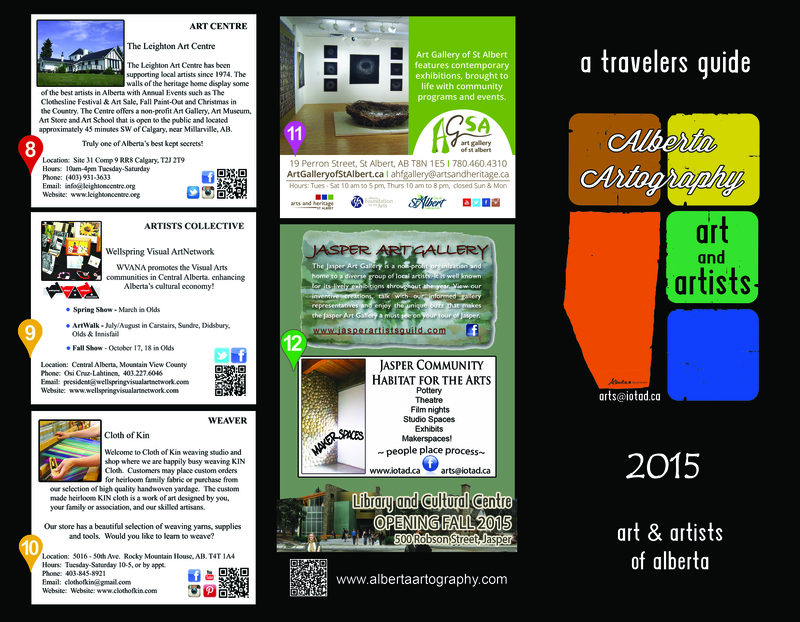 we began our dream project – An Alberta Studio Guide (Alberta’s Artography). AND we are thrilled to tell you that The Government of Alberta provided some seed funding to make sure we find what we need to make this a reality! With the new Minister of Culture, David Eggen, also being the Minister of Tourism…art is sure to be the way to see Alberta!! So…as we were saying…who wouldn’t want to travel the province and see all the artists studios – artists at work! Or the markets, festivals or community events where artists can be found? Tie that in with some of Alberta’s amazing small town theatres and you have great reasons for patrons to hang out in your town! The 1st edition is DONE! We continue to be on the road…getting your details! 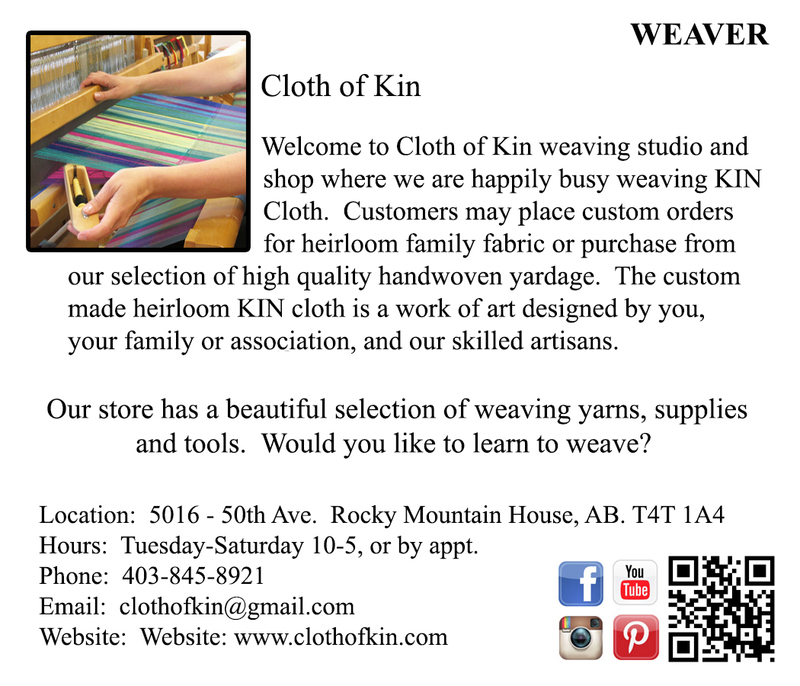 We want to meet you. And list you in the next edition! If you can get a small gathering of artists in one place we will provide the treats while we share our love of finding great art! What might your ad look like? With smart phones travelers can click on the QR tags and within seconds find, not only the Guide website, but links to your personal site, your video, your facebook page or twitter links! So…where can travelers find your art? 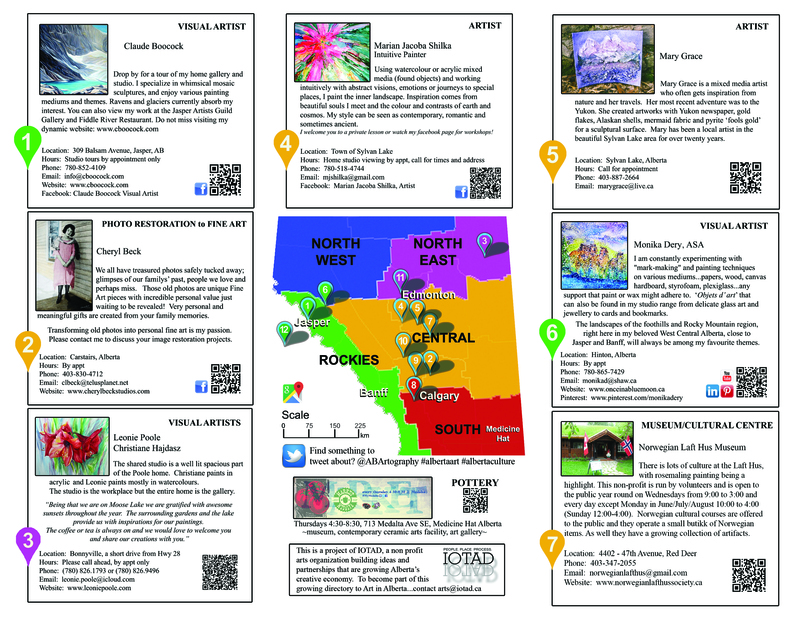 Lets make sure Alberta culture seekers can find you! I was recently made aware of your existence and this interests me greatly. I hope you are able to come back to the Bonnyville area before the deadline. 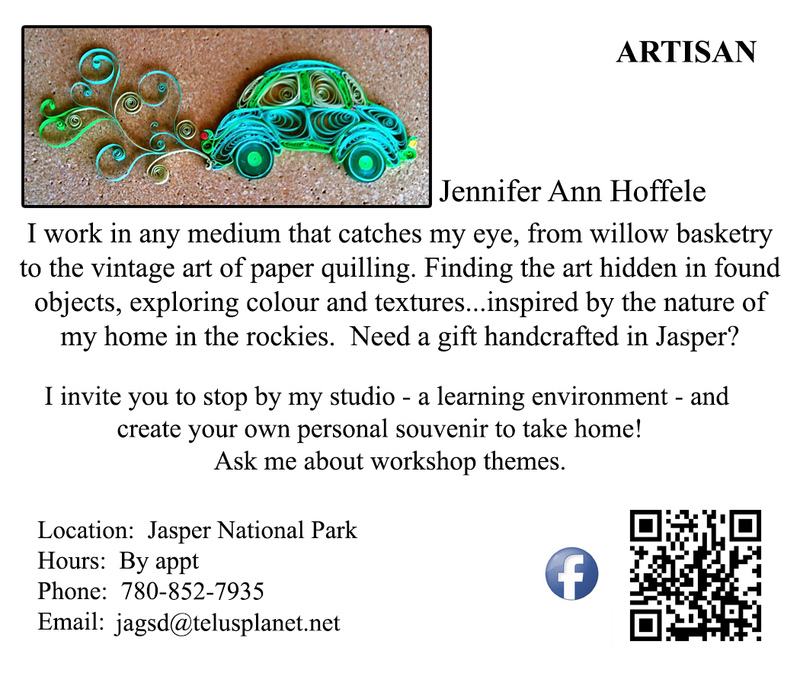 I have a studio on Moose Lake just outside of town. Could you please let me know what I need to do to be in this guide.